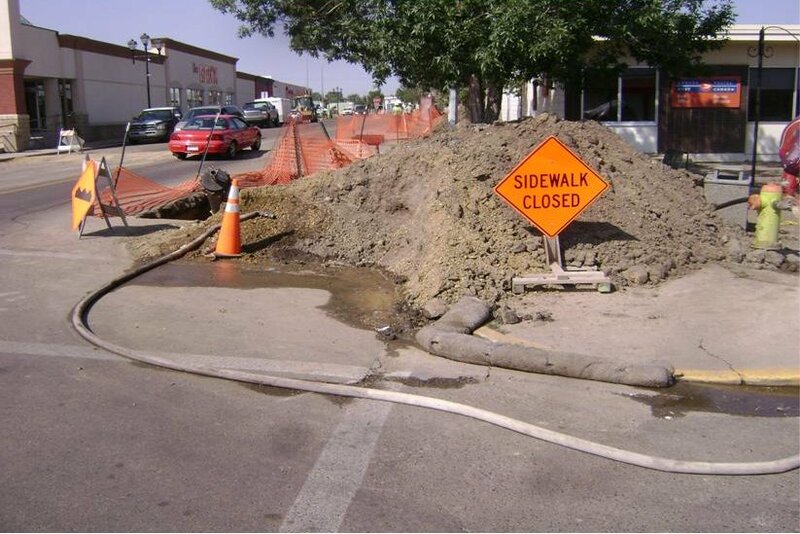 Site Grading - 7,000 m3 of earthworks, Treated Water System - 60 m of 250mm to 150 mm water main including vavles and fire hydrants,Sanitary Collection System - 780 m of 600 mm sanitary main including manholes, Storm Water Collection System - 290 m of 900 mm to 300 mm pipe including manholes and catch basins, CPR and Primary Highway Crossing - 110 m of 900 mm steel casing installed by horizontal auger boring method to grade, Road Reconstruction - Total of 14,500 m2 of paving and 640 m2 of concrete sidewalks, driveways and curbs & gutters, and Landscape Restoration Through Developed Areas - 2,600 m2 total restoration work. The project involved the civil works for the Holy Trinity Academy (LEED NC Gold Certified). The project included water and sanitary sewer line extensions to service the school, site grading and storm retention ponds for the school. Bank Restoration and Protection Complete with Cofferdam and River Isolation 900mm Storm Sewer Outfall Structure Complete with Cofferdam and River Isolation. Work included the installation of 800 m of 600 mm DR18 PVC pipe to complete the south west loop required to provide fire flow protection to the East Balzac commercial district. 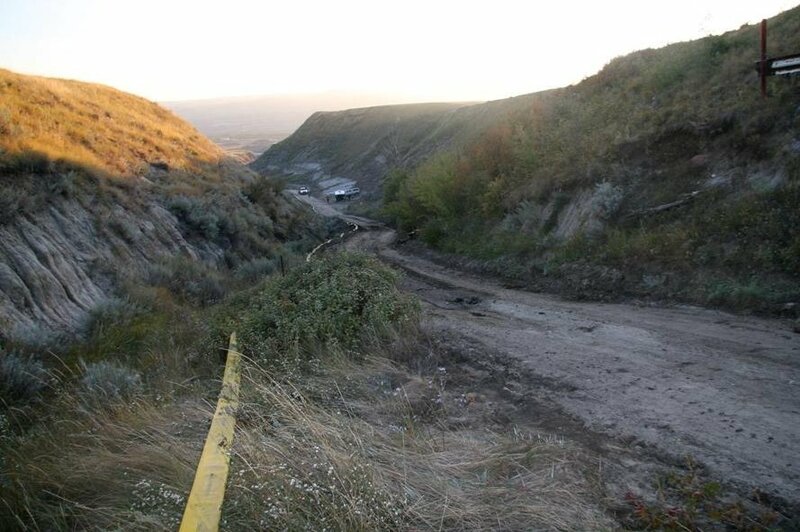 Work also included the hot tap of an existing 400 m DR18 PVC pipe, relocation of a fire hydrant and traffic accommodation along Range Road 293. 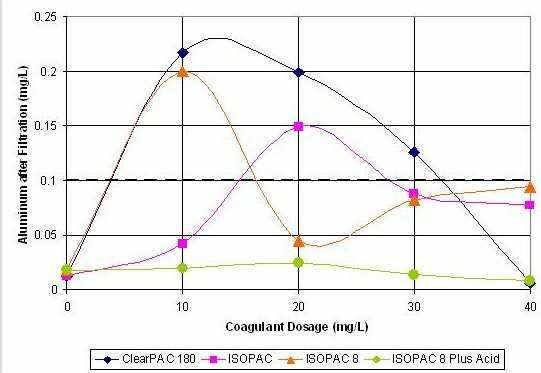 Jar Testing to determine effectiveness of various coagulants in order to optimize aluminum removal from the treated water. 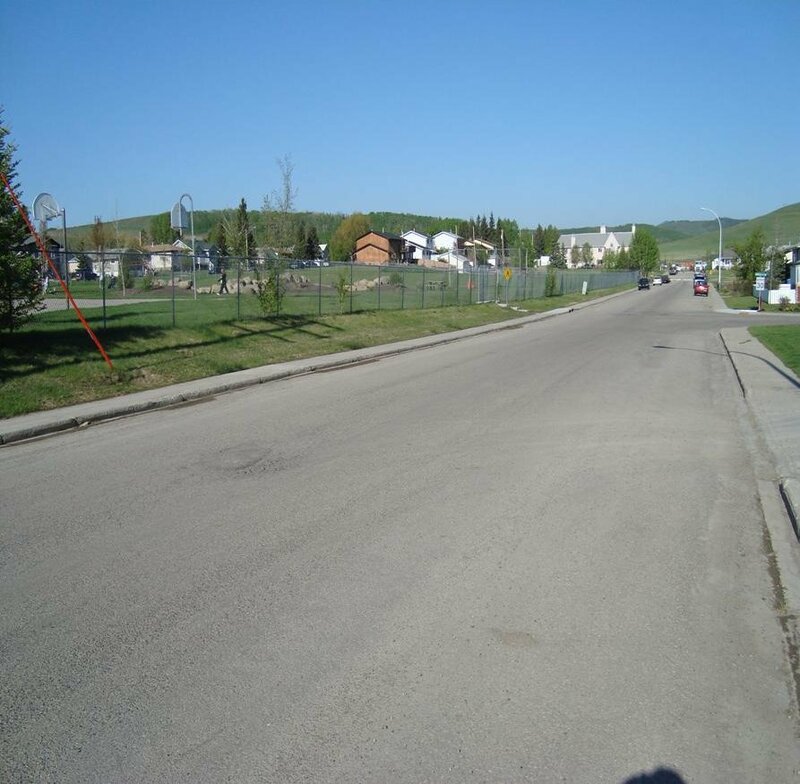 The project included the design of a private road within a new commercial development along Highway 1 in Strathmore. The development serves Extra Foods, Canadian Tire, Work Warehouse, Tim Hortons and other national outlets. 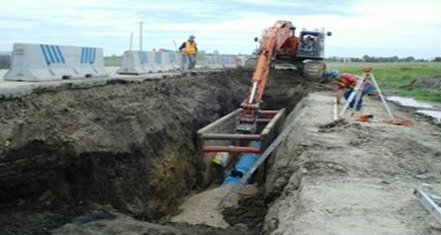 Work included the removal of an existing public road, re-use of the buried infrastructure, modifications to the Trans Canada Highway, a master stormwater drainage plan, site grading, and contract administration during construction. The project involved the civil works for the Morley Elementary School. The project included water and sanitary sewer line extensions and a sewage lift station complete with generator building and control to service the school, and the road design to the school. 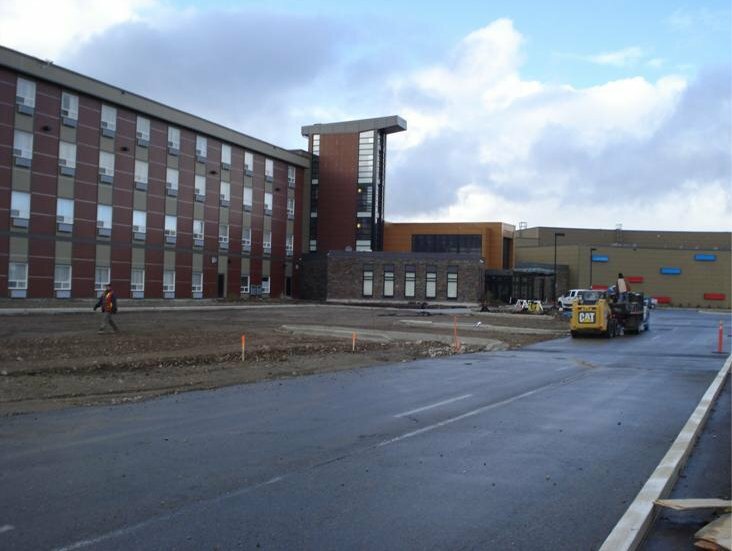 This project involved paving the Nakoda Entertainment Resort and Casino’s Hotel Parking Lot as well as curb work and site cleanup by Northstar Contracting Inc. The project was aimed at completing the site works as well as to improve the overall appearance of the Nakoda Entertainment Resort and Casino. The project included the rehabilitation of 745m of municipal roadway including concrete curb and gutter work, concrete drainage swales and miscellaneous concrete works. This is an ongoing annual project which involves the replacement of cast iron watermains with the Town’s downtown commercial district. 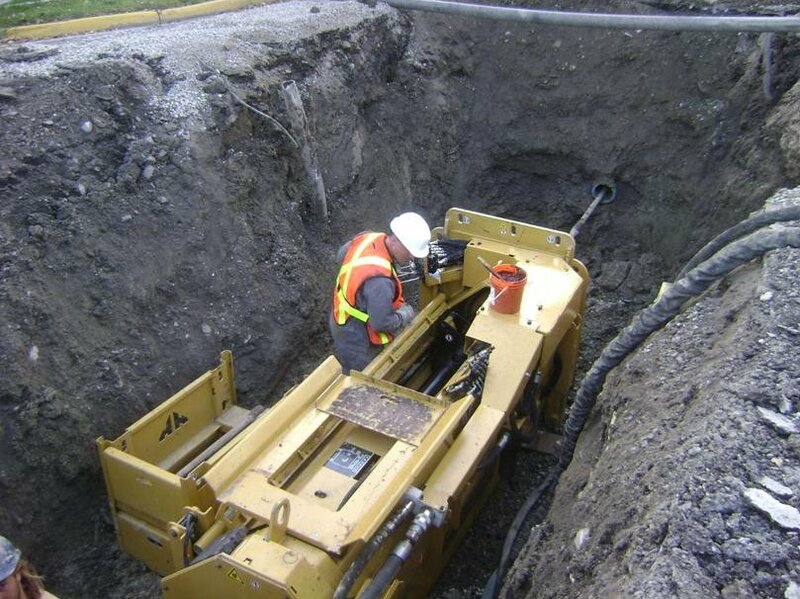 Due to tight limited access, location of existing utilities, and to minimize disruption to businesses and traffic, the watermains are being replaced utilizing trenchless technology. Watermains range in size from 100 mm to 300 mm and where necessary pipe sizes are being increased to improve fire supply into the downtown core. Due to public and business sensitivity, the project includes an extensive public relations communication program. 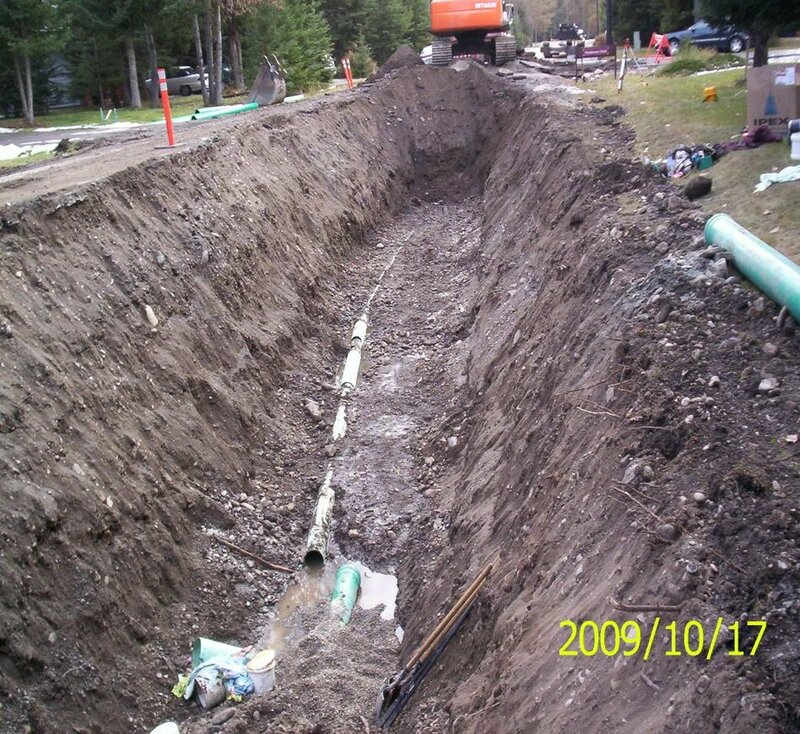 This work is the first year of construction of a yearly watermain replacement program. 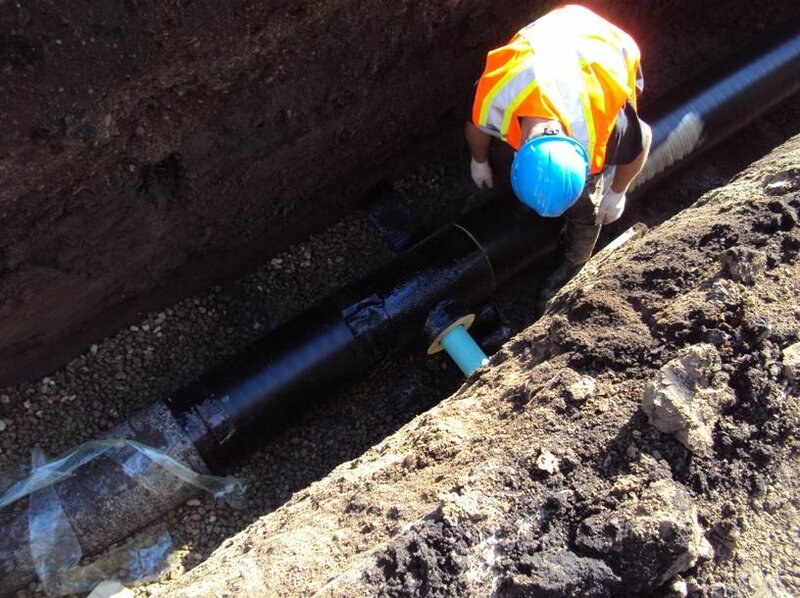 Watermain was replaced at 4 locations in Drumheller for a total of about 200 meters of pipe. 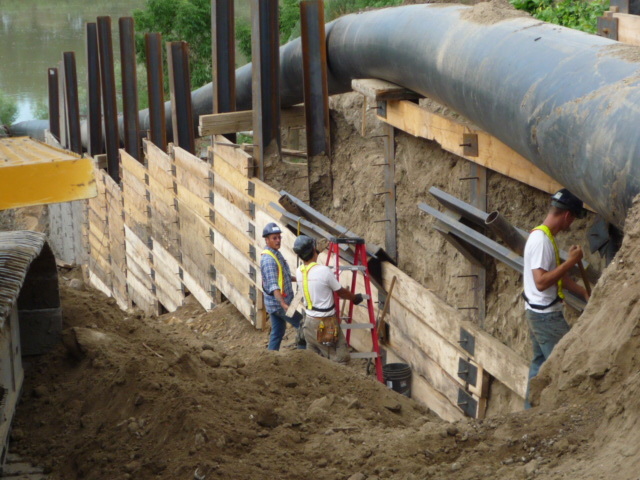 At 3 of the sites, 6” PVC was laid in trenches while at the 6th Street Alley site 6” HDPE pipe was placed using horizontal drilling. 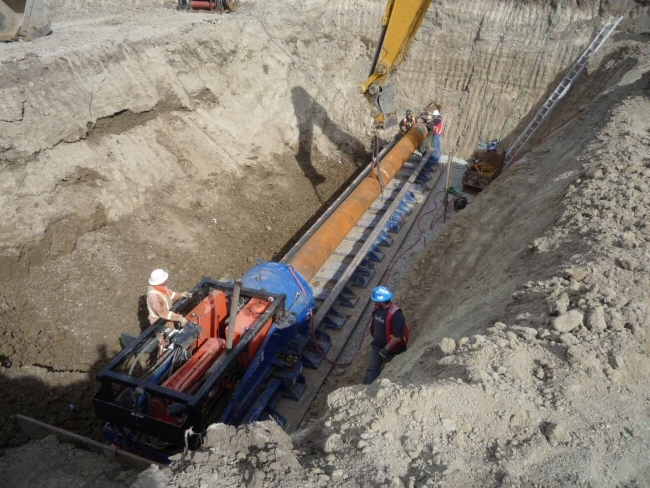 The project included the design and construction of 165 meters of 200 mm Series 100 SDR41 insulated pipe. This project was undertaken to improve sewer flows caused by the deterioration of the existing clay tile main. 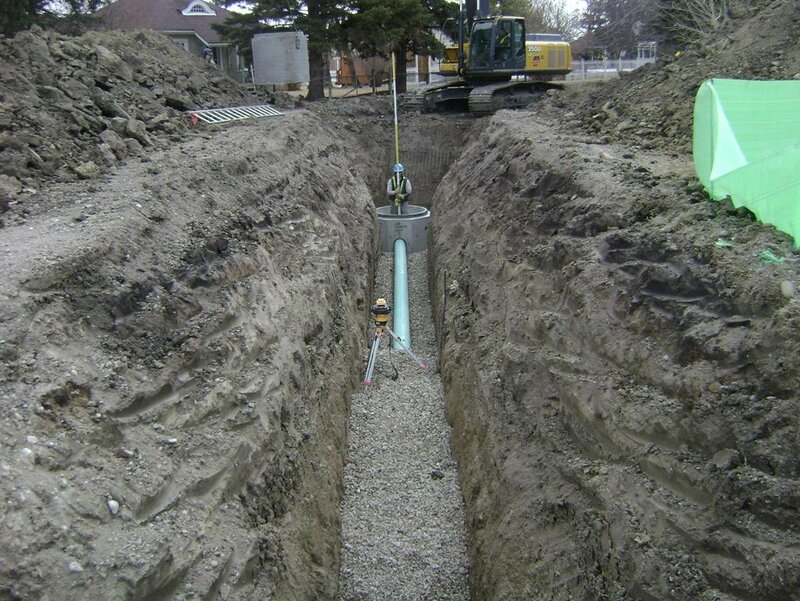 The pipe was supplied and installed to watermain standards and insulated due to its proximity to the existing storm sewer and shallow depth. The Pipe was pre-insulated prior to being shipped to site. The project involved site grading design as well as the coordination and design of water, sanitary and storm water systems for the future Badlands Community Facility. The project also included the overland drainage design and storm water management for the community facility’s parking lot. The project involved the relining of approximately 300m of old 200mm CSP sanitary sewer that serviced the Drumheller Penitentiary. The main was badly corroded and missing in certain areas. Due to site terrain and access limitation relining was deemed to be most cost effective rehabilitation options. 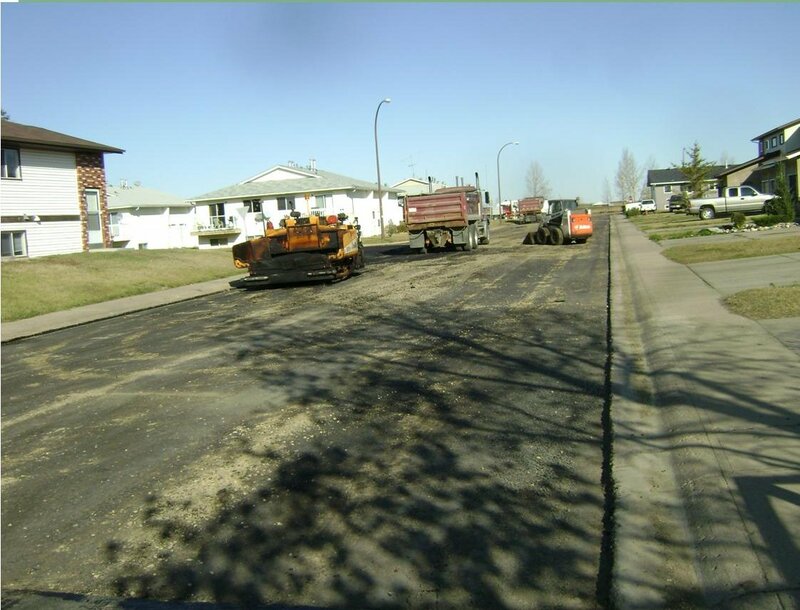 Milling and removal of worn asphalt pavement. 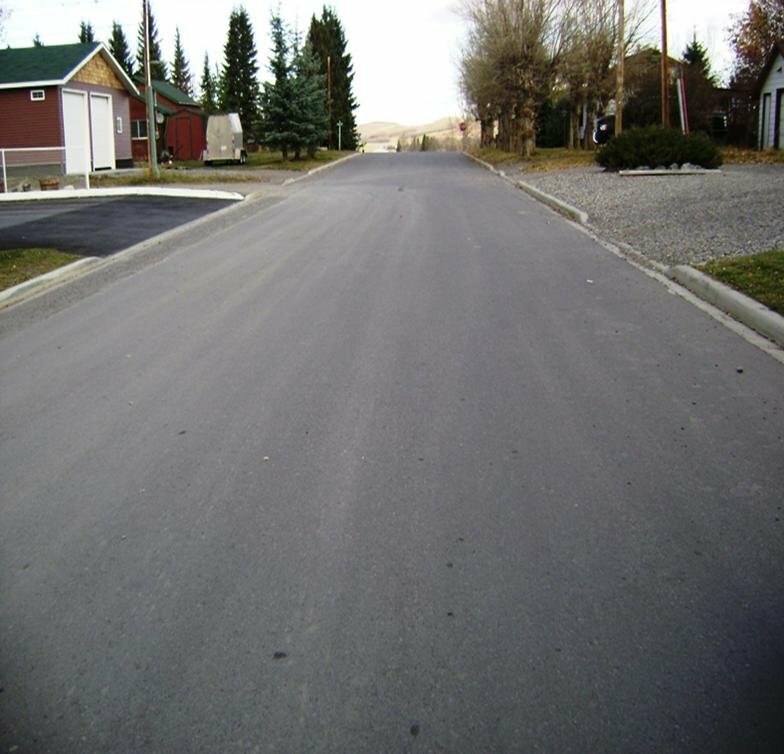 Asphalt pavement overlay and complete road structure replacement was completed on selected roadways in the Town of Hanna, as part of an ongoing Streets Improvement Program. 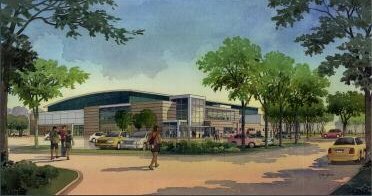 The project involved the construction of a new 40,000 ft2 - 1,500 seat ice arena/multi purpose facility. The facility was constructed to LEED certification. MPE completed the site civil design for the project. Due to site fill requirements, grading of the site was done in conjunction with an adjacent athletic field complex. 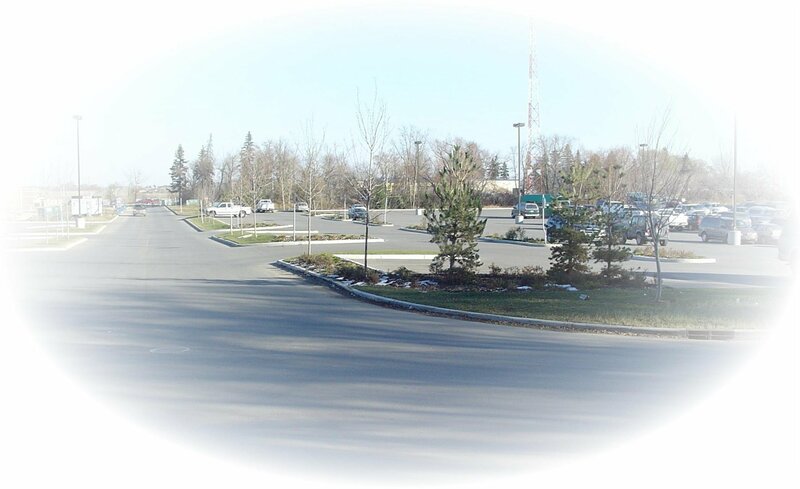 Stormwater management included design of parking lot trap lows for stormwater retention and installation of oil/dirt separator for stormwater quality enhancement. 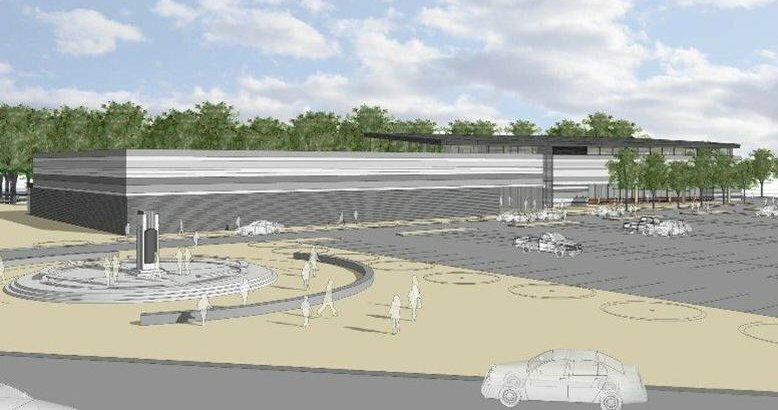 The arena was developed within proposed commercial area of the Town, which required interconnection of site grading, traffic patterns and site servicing. The project involved expansion of the existing swimming pool to include an additional 6 lane 25 meter swimming pool, administration offices and modernization of reception and meeting area. Total building expansion 22,000 ft2. 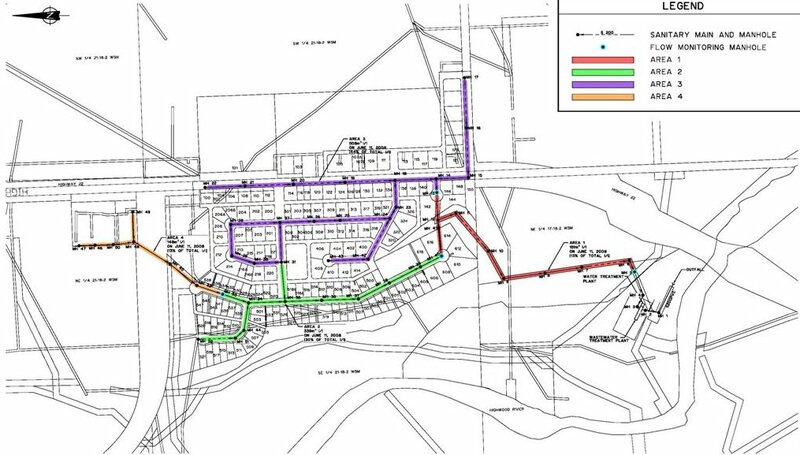 The project included expansion of parking lot facilities, grading to tie into adjacent baseball diamond and skate board park, relocation of existing sanitary sewer, and overland drainage design. The project included the rehabilitation of 440m of municipal roadway including water and sanitary main replacement (complete with service connections), full depth pavement structure, concrete drainage swales and miscellaneous concrete works. 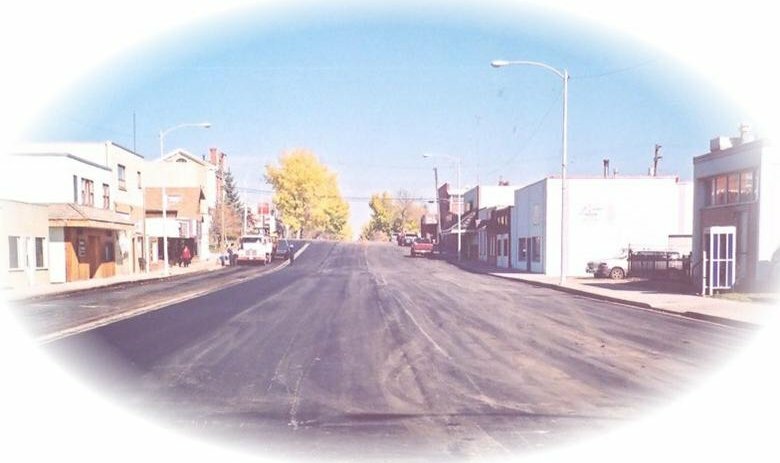 The project consisted of street improvements to George Street and Hubert Street. 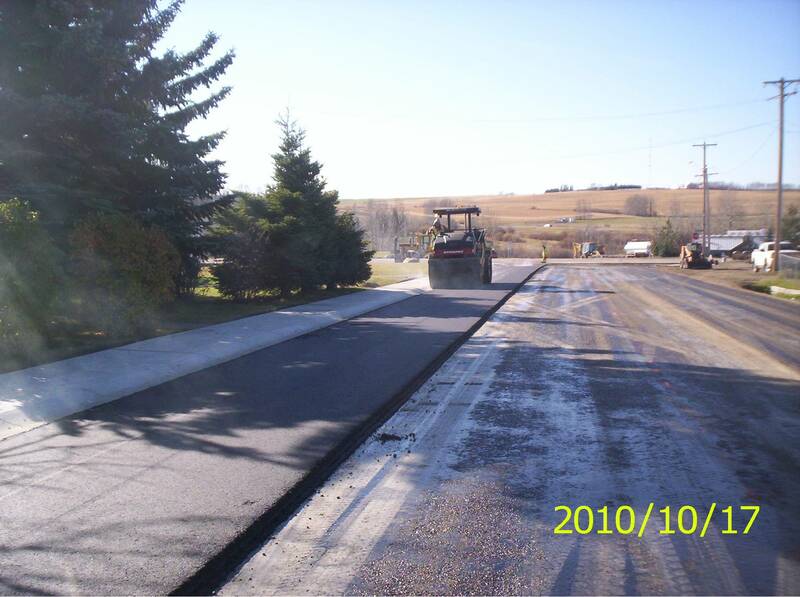 Improvements included asphalt concrete pavement overlay, base works and concrete works. Work included the replacement of a sanitary main, concrete sidewalks and curb, road structure and pavement. The project involved the construction of 800 m of 250 mm PVC gravity collection system, 450 m of 200 mm HDPE forcemain and lift station. The collection system will service the existing and future development in the southern part of town. 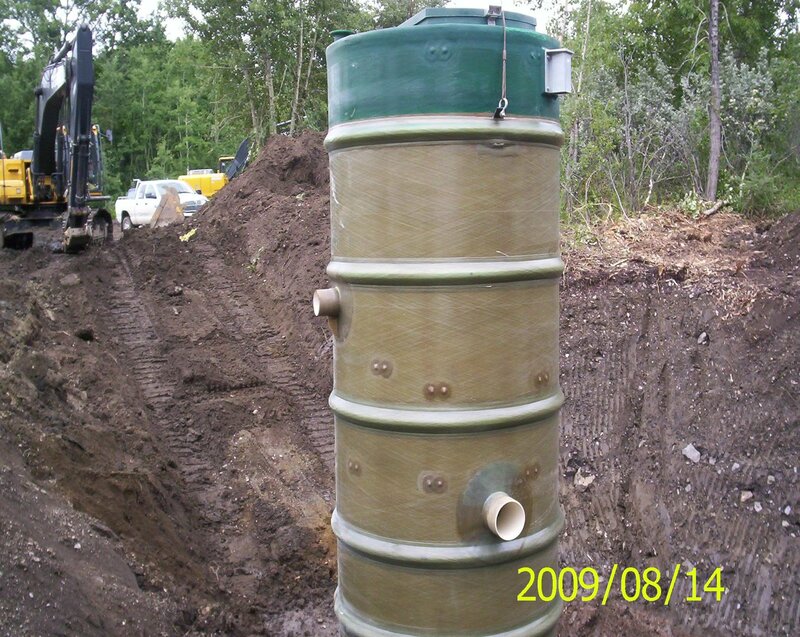 Work included the construction of a clay lined raw water reservoir with aeration system and pump station. 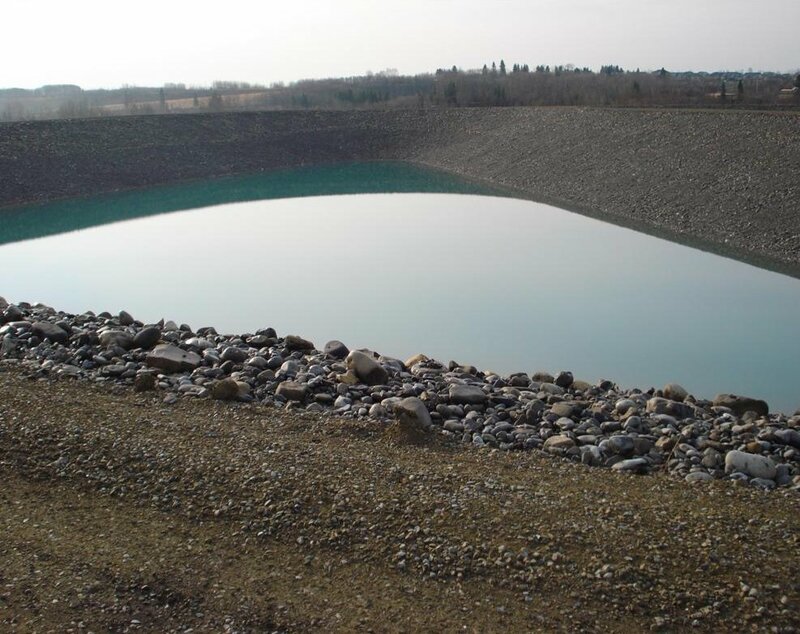 The project provides additional water storage to the Town of Turner Valley to service the residents during periods of drought and for new development. 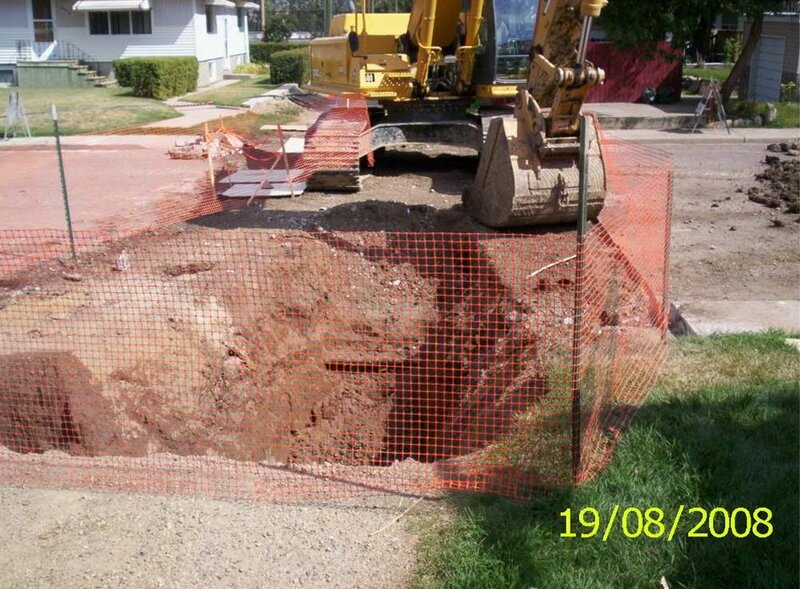 Work included the replacement of a sanitary main, sanitary services, water services and roadway. Gravity main was 250mm PVC SDR 35. There were 23 houses tied in: two of which were 150 mm services and the remaining houses were 150 mm services. 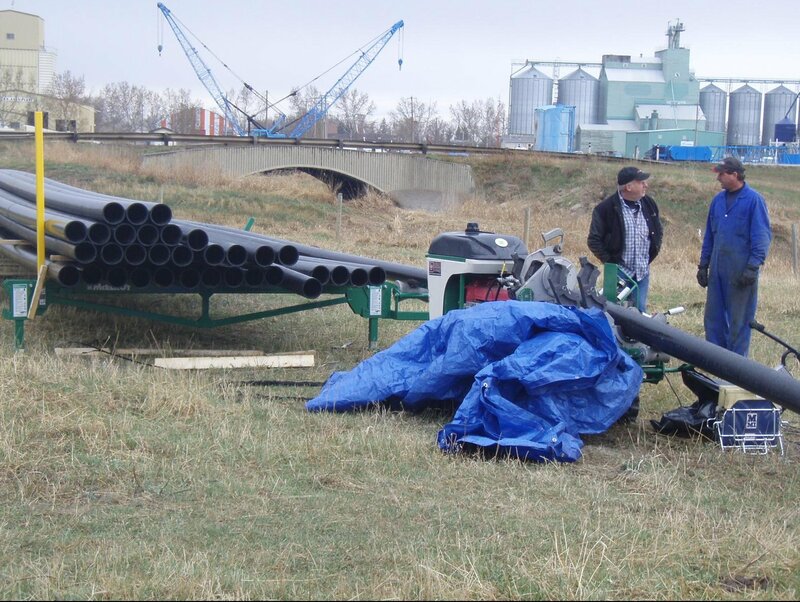 The project included the design and replacement of the Town of Turner Valley’s existing asbestos cement water main with HDPE pipe by pipe bursting method. 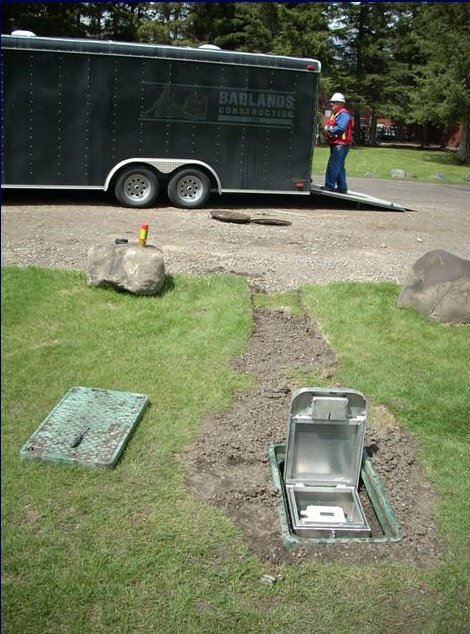 The project involved design and installation of the flowmeter vault for the Redwood Meadows Golf Course. Flowmeter is battery powered and has a remote readout. Work included the removal and replacement of a sanitary sewer main, and the relining of the sanitary trunk main to the lift station. The project was undertaken to review solid waste management operations and determine specific changes that could be made to improve existing disposal methods. 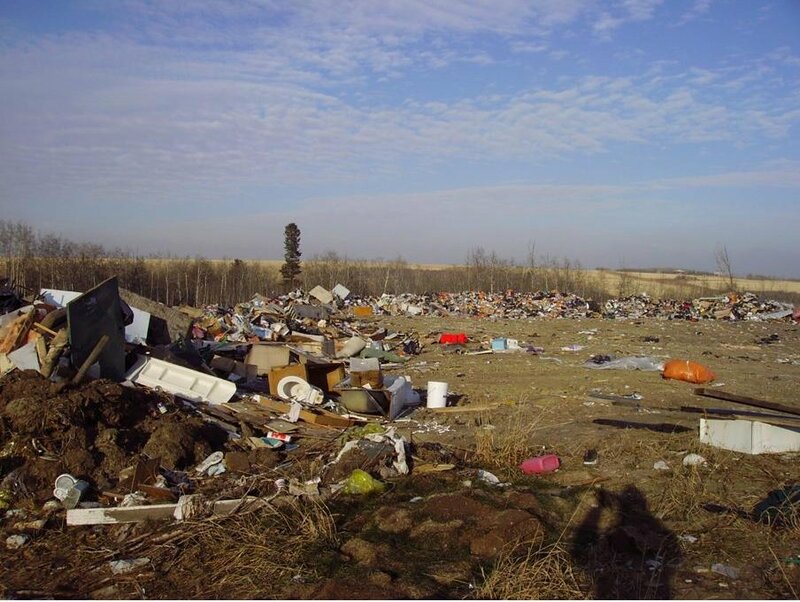 The intent was to reduce the environmental risk associated with the long term operation of a landfill on reserve lands by investigating other waste disposal options. 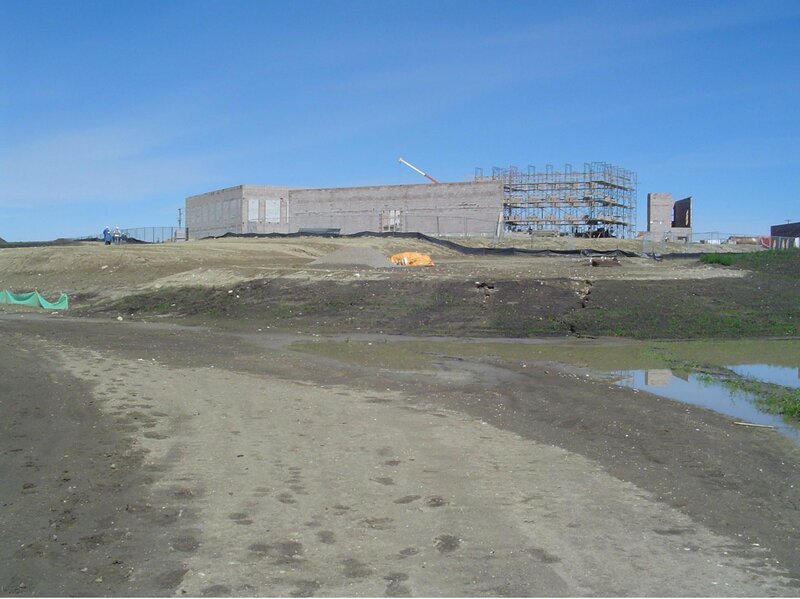 The project included the design and construction of the Beiseker Airport’s runway and taxiways. 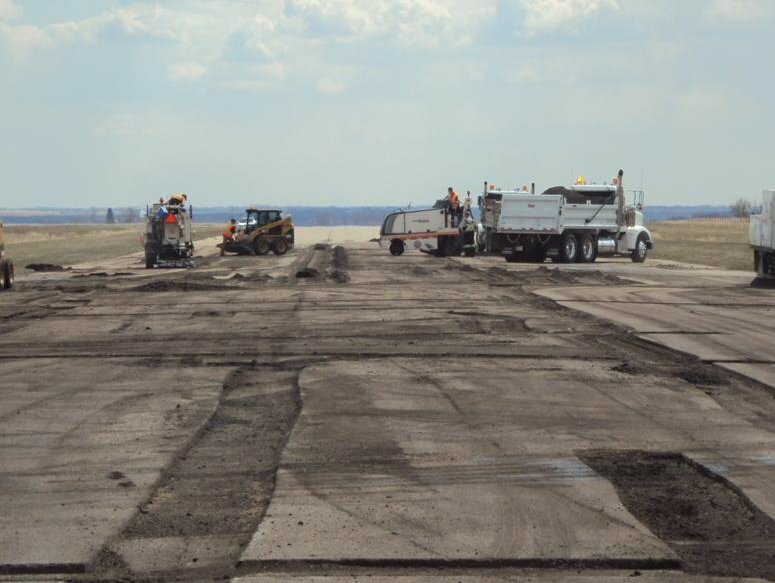 The taxiways were re-shaped and paved, and the runway was milled, crack-sealed, and repaved. During extreme precipitation events, the Village was experiencing flooding of its main lift station due to undersized forcemain from the lift station to the lagoon. A temporary forcemain was installed above ground to increase pumping capacity. 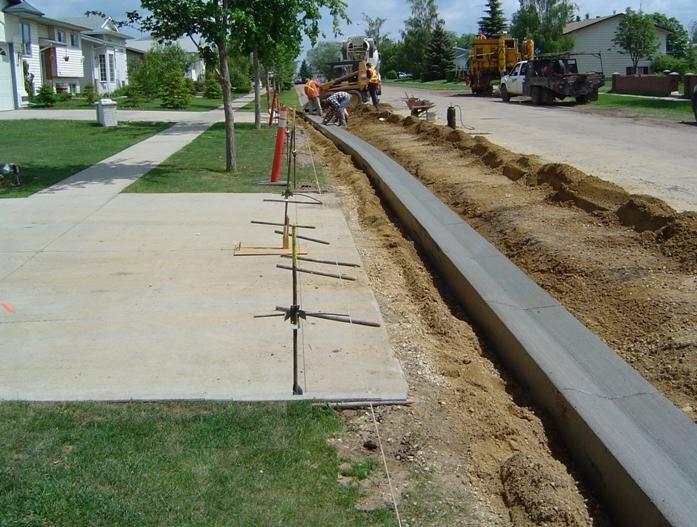 The project involved the upgrading of an existing gravel street to pavement complete with concrete curb and gutter, monolithic sidewalk and catch basins. As part of the project, empty lots were pre-serviced as well as an additional fire hydrant was installed. 1st Street West north of Highway 532 is one of the busiest streets in the Village with the Post Office being at the intersection of 1st Street West and 1st Avenue West. Work included a feasibility study to establish the wastewater flow projections for Longview and examination of alternatives for wastewater treatments including evaluation of stand-alone packaged mechanical plants as well as the regional treatment alternative with cost analysis of each option.